Fort Wayne Country Club provides an unmatched year-round tennis program for our members. From private lessons to group lessons to USTA Team Tennis, take up this life long sport anew or increase your court effectiveness. Fort Wayne Country Club is the only private club in Northeast Indiana to offer a winter tennis facility. In the fall, the Dome, covering three courts, is put in place to provide indoor tennis all winter. The Dome is removed in the spring to allow for lighted outdoor tennis on five courts.Our Tennis & Fitness Center offers quality tennis rackets and accessories along with full service racket stringing and regripping. 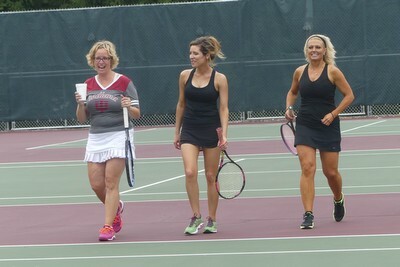 Several events are held throughout the year to suit our tennis players, including guest days and USTA teams. 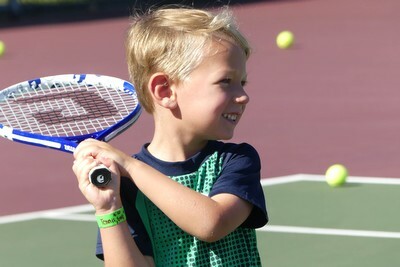 Our Junior Tennis Program is offered year round and each session offers groups for all ages and abilities. Contact our Tennis Professional, Steve Beier, at (260) 432-5836 or stevebeier@ftwaynecc.org.